Rotork’s Fluid Systems division recently completed the first shipments of three new products, one of which – the SkilmaticSI 3rd Generation – is built at their new manufacturing facility in Leeds, UK. Despite only being opened in September 2014, this factory has fast become a centre of innovation and development, where engineers are working hard to meet future challenges from changing markets. 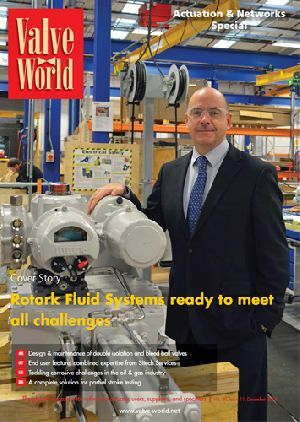 To find out more about the strengths of this new plant as well as the capabilities of Rotork Fluid Systems as a whole, Valve World headed to Leeds to meet Divisional Managing Director Mr. David Littlejohns.